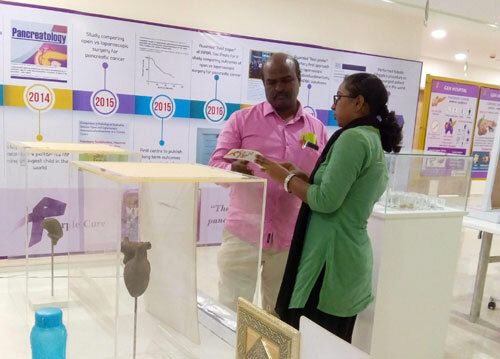 From the 17th to 26th January 2019, MOHAN Foundation setup an Information Desk on Organ Donation at GEM Hospital in Perungudi, Chennai for the visitors at the Gastro Expo 2019. GEM Hospital is Asia’s first exclusive gastroenterology and advanced laparoscopic surgery centre established in 2001. 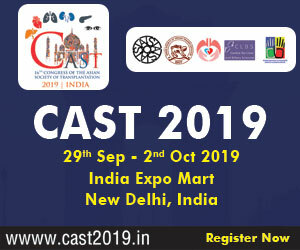 It is also the first and only centre in India with subspecialties in Bariatric, Hepatobilliary, Colorectal, Upper GI, Gastrointestinal cancer surgery, Endogynaecology, Scar-less Surgery, Liver Transplantation, etc. Information brochures, registration forms, donor cards & green ribbons were available at the desk which was decked up with the banners. 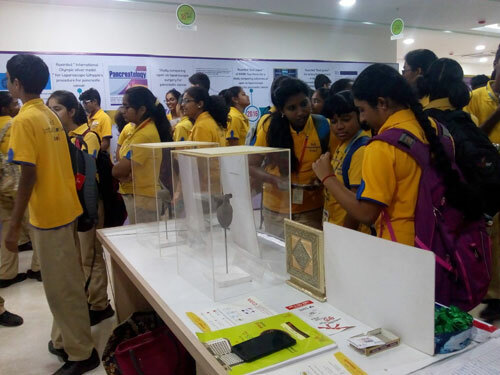 An award winning exhibit titled “Life Before Ashes” comprising of installations of human organs modeled using human ashes was also on display. Mr. Siva Shankar T.S - Helpline Executive, MOHAN Foundation, Ms. S.V. 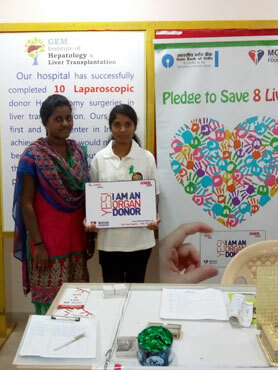 Ajitha and Ms. J. Keerthana Interns from MMM College of Health Sciences were present at the stall to respond to enquiries and accept pledges of the visitors. 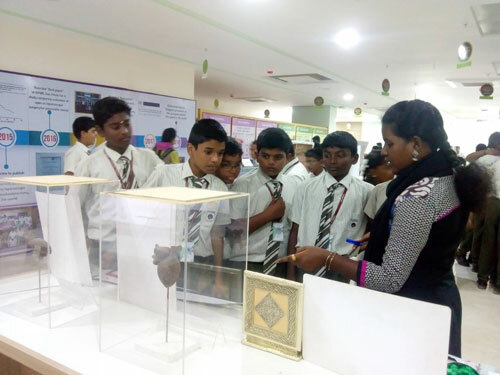 Ms Ajitha and Ms Keerthana explained the concepts of organ donation to people who visited the desk. 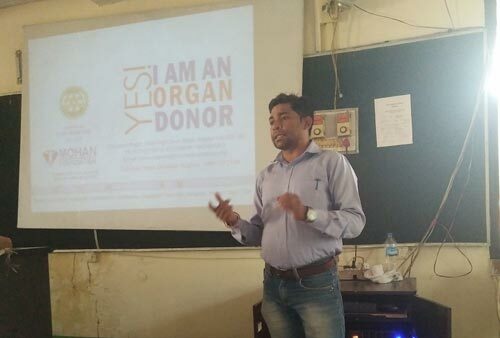 These interactions helped the public to understand organ donation clearly. 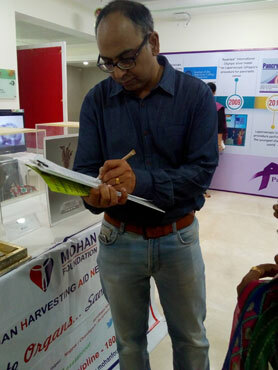 Over the 10 days, more than 500 people visited the stall, of which 26 signed up as organ donors and received their donor cards. What is the difference between brain death and coma? Can organ donation happen only after death? What are the organs that could be donated? 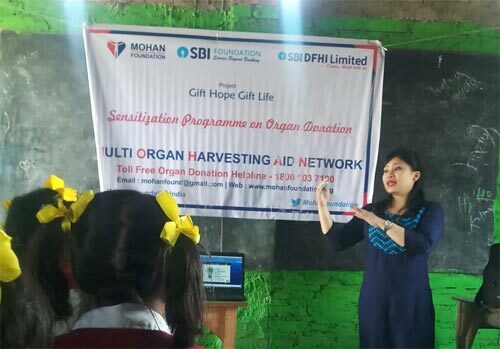 What is the role of MOHAN Foundation? 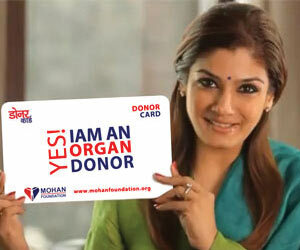 How to register as an organ donor? 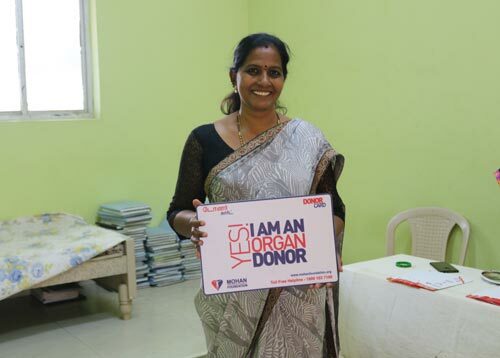 How will the government know about my registration as organ donor? 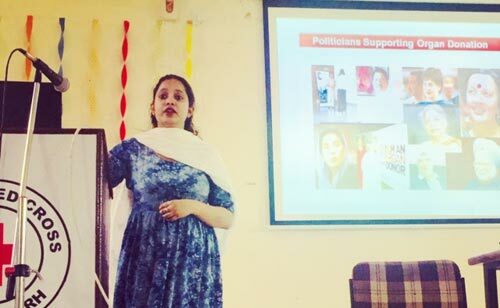 Is MOHAN Foundation a private or government organization? 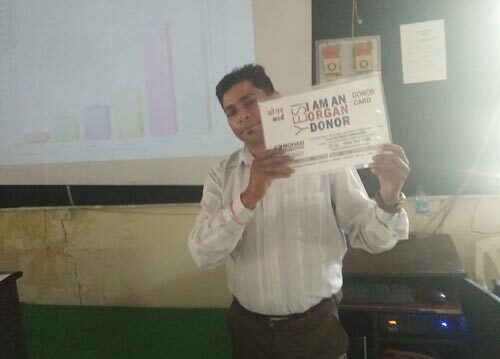 Will a recipient pay money to a donor?